Winners of Mrs. Global God’s Own Country 2017 Grand Finale Beauty Pageant : Vijayalakshmi Ratheeshan won the title of Mrs. Global God’s Own Country 2017. 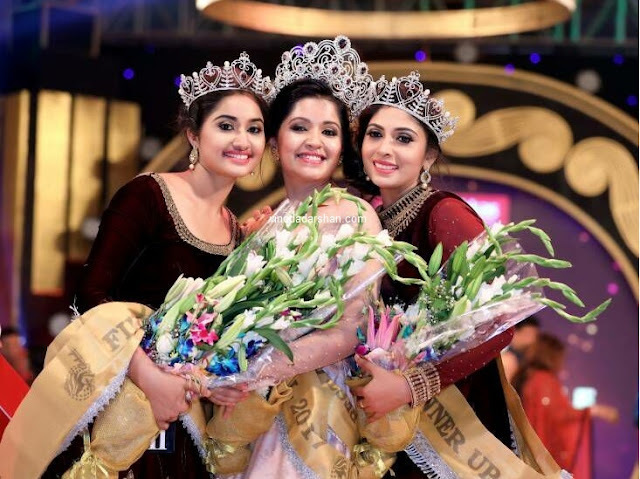 Lija Arun is the first runner up and Anitha Dileep won second runner up title. Former Miss India Parvathy Omanakuttan crowned the winner. The winner will be awarded a cash prize of Rs 3 Lakhs. Mrs. Global God’s Own Country 2017 grand finale were held at CIAL Convention Centre, Nedumbassery, Kochi, on May 20, 2017. 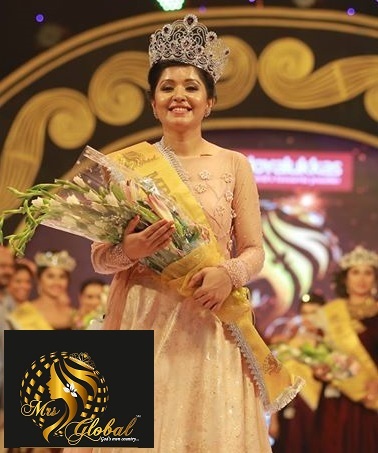 The beauty pageant organised by Espanio events is an effort to to go beyond beauty pageant by depicting the quintessence of the malayalee women and to project the hidden talents of the women of Kerala or of Kerala origin while keeping in mind the modest moral values of Kerala. The concept of Mrs. Global is to celebrate the women of Kerala or Kerala origin, be them married, previously married, entrepreneurs or housewives through a series of rounds where they will be measured on their simplicity beauty, articulation, grace, pleasantness, likableness, cheerfulness, elegance, and fineness. The audition for the event were held with a panel of judges including Actors Krishna, Edavela Babu, Fashion Choreographer Dhalu Krishnadhas, Dr. Linda Ann Mathew and Psychologist Lissy Shahjahan. Mrs. Global God’s Own Country 2017 gala event was directed by Edavela Babu with choreography by top fashion choreographer Dalu Krishnadas. 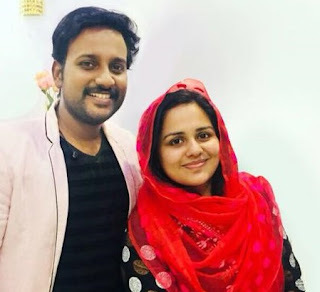 Anchor of grand finale was Renjini Haridas. Shweta Menon, Beena Kannan,Shravan kumar Ramaswamy,Parvathy Omanakuttan and Ku Kukku Parameswaran were in the judging panel of Grand Finale event and they distributed the titles and prizes.